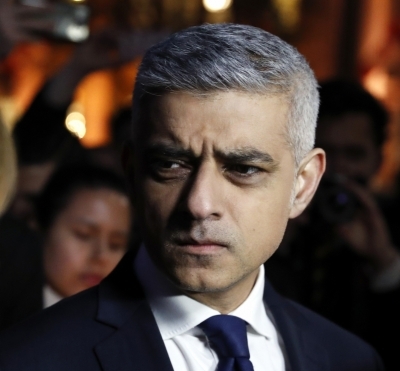 London Sep 16 (IANS) London Mayor Sadiq Khan has called for a second Brexit vote criticising the government s handling of Brexit negotiations with the 28-member European Union. Writing in the Observer daily on Sunday the Labour politician said that with the UK due to leave the EU in six months it now faced either a "bad deal" or "no deal" the BBC reported. The debate had also become "more about (former Foreign Secretary) Boris Johnson s political ambitions" than what was good for the UK he said. Khan said that although he campaigned to remain in the bloc he had accepted "the will of the British people was to leave the EU". He said he had never expected to back calls for a second referendum but had become "increasingly alarmed as the chaotic approach to the negotiations had become mired in confusion and deadlock. "I don t believe (Prime Minister) Theresa May has the mandate to gamble so flagrantly with the British economy and people s livelihoods." Earlier this month May said the government would not back another vote saying: "To ask the question all over again would be a gross betrayal of our democracy - and a betrayal of that trust." However Khan said that May had "failed to negotiate a Brexit position with her own party - let alone agree a deal with the EU".